On April 12th the new 7-part Docu-series The Truth About Vaccines will air online FREE for all who register  to view it. This series will feature over 60 leading experts in the field, including physicians, scientists, and researchers. In this preview, Ty Bollinger interviews Dr. Paul Thomas and Jennifer Margulis, Ph.D. to discuss the CDC vaccine schedule. They are two of the speakers that will make presentations in The Truth About Vaccines. Dr. Paul Thomas, M.D. was born in Portland, Oregon, and grew up in Southern Africa. He has a masters degree in biology, an M.D. from Dartmouth Medical School, and completed his pediatric residency at the University of California, San Diego. He is a board-certified fellow of the American Academy of Pediatrics, and also carries board certifications in Addiction Medicine and Integrative Holistic Medicine. He started the Pediatric After-hours Clinic (now Pediatric E.R.) at Emanuel Children’s Hospital, where he also taught medical students and residents from 1988-1993. Dr. Thomas is obviously knowledgeable in the area of immunization, as a practicing pediatrician and currently one of the few actual board-certified fellows of the American Academy of Pediatrics residing in the State of Oregon. Ty Bollinger, the producer of the Docu-series The Truth About Vaccines, shows us that he is willing to present all sides of the current vaccine debate. 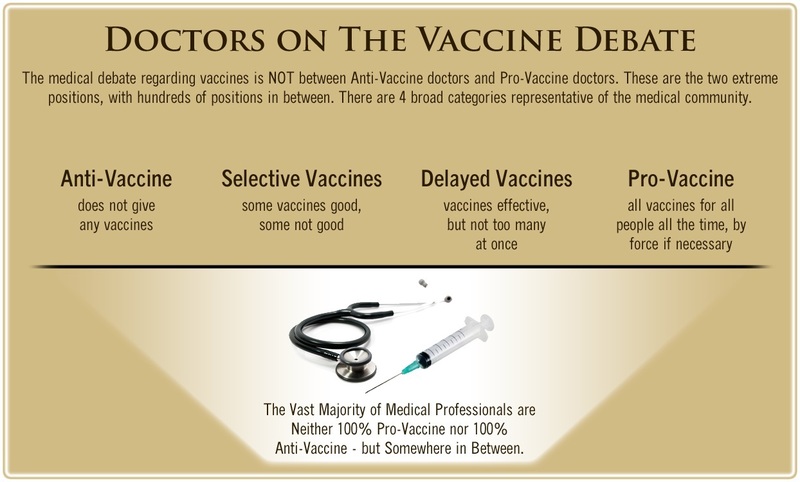 Most doctors today are neither 100% anti-vaccine nor 100% pro-vaccine, but somewhere in between . Dr. Thomas is not anti-vaccine. He states in this interview that about 95% of his patients are vaccinated. I can see that maybe there is a patient that exists, I think, for whom the entire (vaccine) schedule makes sense. So that would be a patient whose mother has active hepatitis B and is putting her infant at risk. They live in an area where there is so much rota-virus, and no access to healthcare, that you might consider doing the rota-virus (vaccine). And they’re living also in an area with active polio all around, which actually [sic] be really hard to find today. I don’t think that actually exists anywhere in the world today, (except) a few countries in Africa once in a while. Theoretically, you could be in such a place where you’re at risk for everything that we’re injecting for the full CDC schedule. But if you live in the United States of America, that doesn’t exist. So the “all or none” mentality just does not make sense. We really need individualized medicine, and an individualized vaccine schedule that makes sense for the risks that person has. The problem in not following the entire CDC vaccine schedule, as explained by Dr. Margulis and Dr. Thomas, is that your children are then classified as “not vaccinated,” creating the false impression that there are huge amounts of children not vaccinated. Dr. Thomas explains that as a pediatrician, he is subjected to “quality measures” by the health plans, including how well a doctor vaccinates. Because he does not follow all the recommended vaccines for his patients, Dr. Thomas reports that his “vaccine status” as a quality measurement was listed as ZERO, in spite of the fact that about 95% of his patients are vaccinated. But because almost none of his patients are vaccinated for hepatitis B because they are not at risk, this lists him and his patients in the “not vaccinated” category. 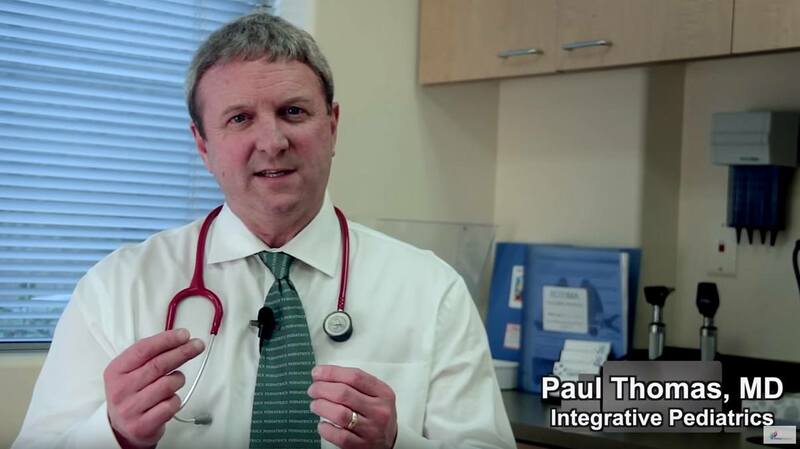 Dr. Paul explains that there is a lot of pressure put on doctors to fully vaccinate their patients with all vaccines according to the CDC schedule to receive bonuses and that failure to do so could result in not being covered by insurance plans. 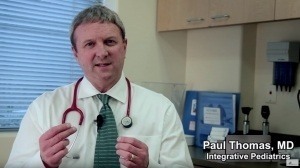 Dr. Paul has stated publicly  in the past that out of his 1000 child patients, he has seen no new cases of autism by following a customized vaccination schedule, while his pediatrician peers nationally who follow the CDC vaccine schedule are seeing about 1 out of 50 children diagnosed with autism. Sign up  to be one of the first to view the new Docu-series The Truth About Vaccines online for FREE starting April 12, 2017, with over 60 leading experts in this field.